The Cavaliers are on a five-game win streak and second in the Eastern Conference, behind Boston, with about a third of the NBA season already gone. 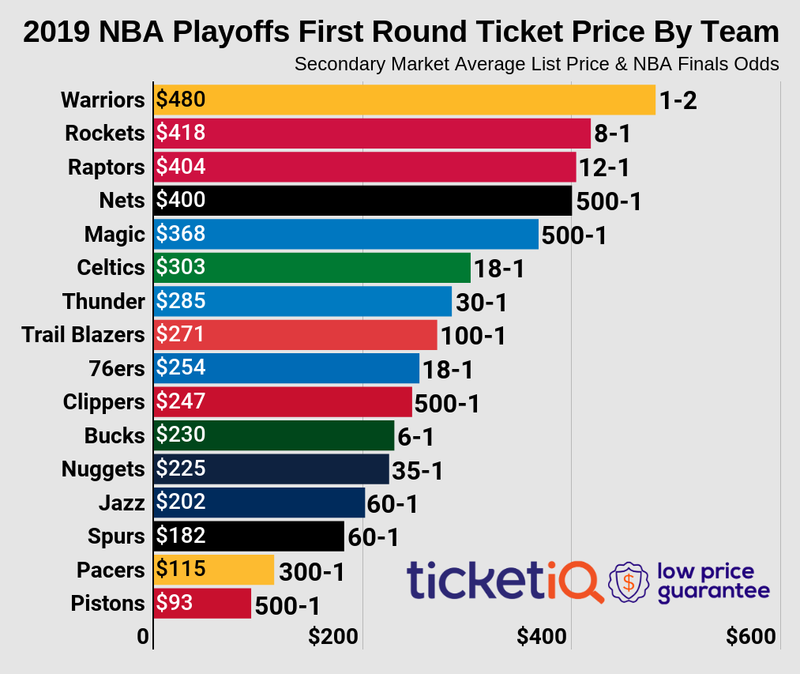 And after being regular fixtures in the NBA Finals for the last three years – they won in 2015-16, but lost to Golden State the other two times – it would be fair to say that a Cavs ticket is one of the most prized in the NBA. In fact, the average cost of a ticket so far this season is among the top ten most expensive. To see the Cavaliers play some of the top teams in the NBA, fans will have to be willing to shell out more than $300 in at least two cases in 2018. 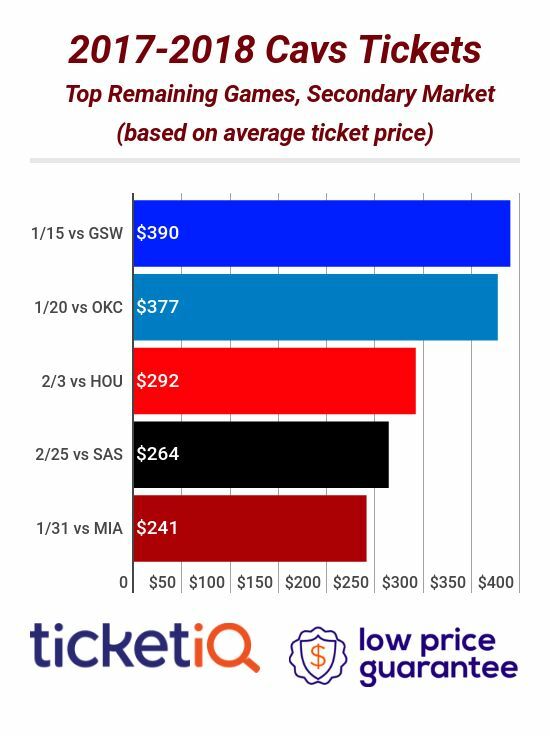 According to TicketIQ.com data, the average asking price for the Jan. 15 Golden State Warriors game is currently $390 and for the Oklahoma City Thunder game is currently $377. Fans won’t even be able to get into those games for less than an average of $111 ($116 for the Warriors game). The prices shouldn’t come as any surprise. The Golden State game is a rematch of the last three Finals and the Warriors are on a nine-game win streak and have the second-best record in the NBA behind the Houston Rockets. The Thunder are playing .500 ball, but seeing Russell Westbrook is always worth the price of admission. The three remaining most expensive games this season are Feb. 3 ($292) against the white-hot Houston Rockets, who are on a 14-game win streak; Feb. 25 ($264) game against San Antonio, who are currently in third place in the Western Conference; and on Jan. 31 ($241) against Miami, which is in ninth place in the Eastern Conference. Whether you want to see the crème de la crème Golden State-Cleveland game or just get in to see the Heat, TicketIQ.com is the place to find your seats. For the Feb. 25 game against San Antonio, Low Price Guarantee listing tickets are available near the top of the arena for $98 in Section 220 or if you want to splurge, for $949 in the second row of Section 7 on the floor.